After researching the Internet for 2.5 hours, going to 15 different websites, we think we have found the best deal for Tiger Sky Tower ($11 instead of $18). 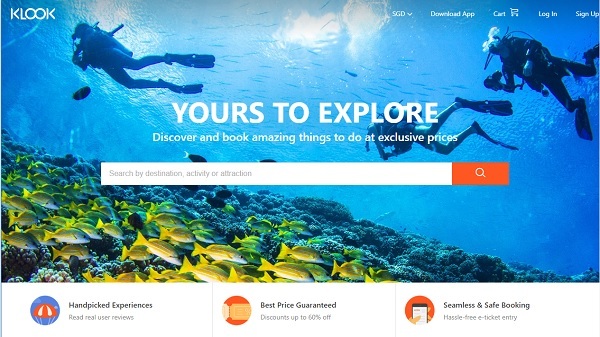 Klook is a reputable travel booking platform that offers hefty discounts on tickets. Sentosa looks great with its pristine beaches and numerous eye-catching attractions like the Merlion and USS amusement park. However, there are way too many spots to visit if you only have a day. What if we told you there’s a way to take in all the beautiful sights of Sentosa and Singapore all at one go? 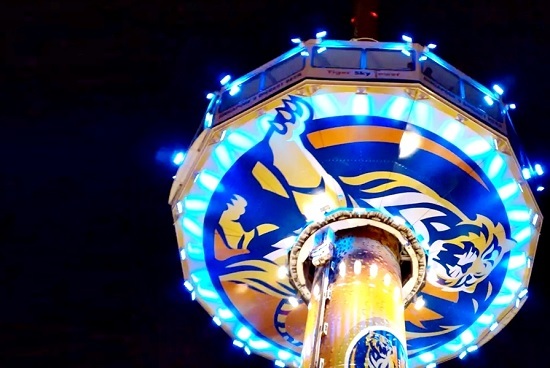 Step aboard the magnificently tall Tiger Sky Tower. Soak in the sights and landmarks that Singapore has to offer from 50 storeys high. It is one attraction in Sentosa that should not be missed! 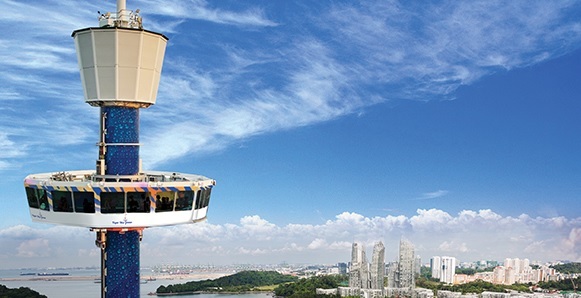 Take in all of Singapore’s beauty from the tallest observation tower on the island state. 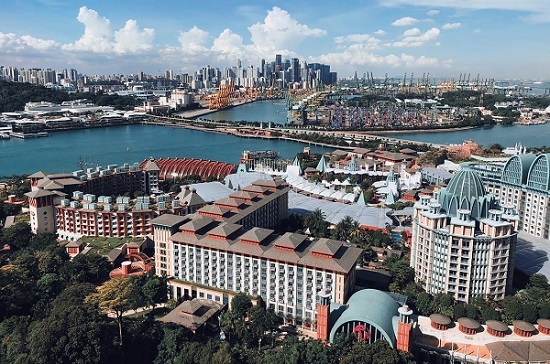 From up top, you will enjoy a full 360-degree view of not just Sentosa’s pristine beaches but almost the entire Singapore. Some key landmarks include the skyscrapers of the Central Business District. Further south, you’ll catch a glimpse of Kusu and St John Islands. Glass windows all around mean you will have completely unblocked views on the way up and down. At 131 metres tall and more than 50 storeys off the ground, you will feel on top of the world in the most literal sense. So high up in the air that at times, it feels like the clouds are just a whisker away. See the much-raved about city landscape of Singapore from a superb vantage point. Lush greenery that the little red dot city looks beautiful. See why Singapore is known as the city in the garden! On days with beautiful and clear weather, you can even see the shores of Singapore’s neighbours – Johor Bahru of Malaysia and Bintan and Batam of Indonesia. With the sunny climate of Singapore, the views from the Tiger Sky Tower are perfect most of the time. Almost every day is a good day to visit! A sightseeing tour of Singapore from a bird’s eye view. Along the way up, listen to the informative and entertaining commentary. It will alert you to landmarks and sights to set your gaze upon so that you won’t miss a single thing. The commentary is extremely useful especially for first-time visitors to Singapore. The cabin moves up at a very comfortable pace of one and a half metres every second. That is equivalent to the speed of walking up a flight of stairs. So not to worry, the Tiger Sky Tower is definitely not one of those heart-thumping rides at Universal Studios Singapore. The cabin turns while ascending up. Even if you don’t want to move around, you won’t miss out on any of the scenic views. A ride lasts between seven to eight minutes. A good amount of time to snap all the photo you want and to take in the amazing sights. If you want to be up there longer, there’s an option to get a ticket for unlimited rides. It is only a few dollars more. An excellent bargain if you love the feeling of being up on top of the world. The glass cabin is large enough to accommodate up to 55 guests at one go. It is fully air-conditioned. A good thing as you are protected from the sometimes hot and humid Singapore weather. There is ample space for everyone to move around comfortably. Because of its large capacity, it also means there will be less waiting time to take the ride. Perfect, because we agree that queueing is just a waste of time! The Tiger Sky Tower was opened in 2004. It is owned and operated by C.Melchers GmbH & Co. The entire structure was manufactured in Germany by HUSS Park Attractions, and the process took a total of 6 months to complete. With German engineering and structure excellence, you can feel safe even when you are 131 metres off the ground. A fun fact to know – it was known as the Carlsberg Sky Tower before. Only in 2008 did Tiger Beer take over as the sponsor of the Sky Tower. Tickets for such a majestic view are surprisingly affordable. We found a promotion on Klook – a ticketing agent – for only $11 compared the sticker price of $18. That saves you close to 40%! If you would like to see the beautiful landscape multiple times, go for the unlimited pass that costs only $13! That’s only 2 dollars more; a damn good deal! The original price is $23, which means you’ll save $10 just by purchasing on Klook. Another alternative would be to get the Sentosa Fun Pass. For one single price, it allows you to see three, five or even twenty attractions at Sentosa in one single day. We would recommend you to get either the Play 3 Pass ($46) or Play 5 pass ($62). 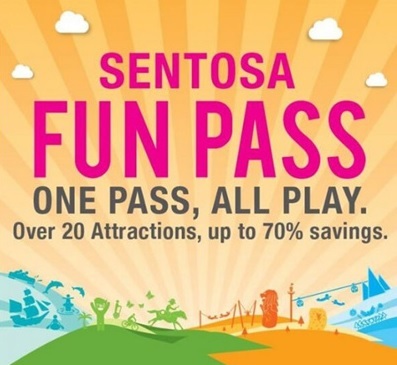 We have a full guide on all 20 attractions for the Sentosa Fun Pass, read it HERE! Singaporeans or anyone living in Singapore for an extended period will enjoy seeing Singapore from a different perspective. Sometimes, we are just so busy with our everyday lives that, we forget that we live in one of the most beautiful modern cities in the world. A ride on the Tiger Sky Tower will make you feel proud to be part of this city-state. Are you a first-time tourist to our little red dot? 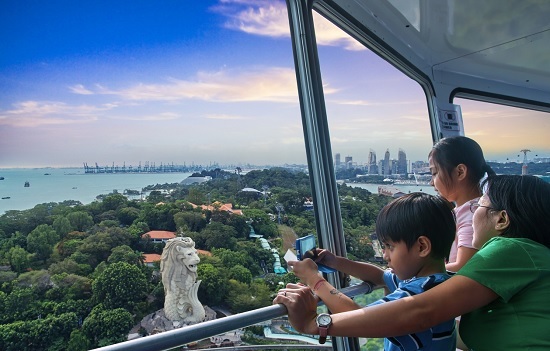 The Tiger Sky Tower will provide you with a beautiful view and summary of Singapore. View our most famous landmarks from high up in the sky. The informative commentary acts as a tour guide throughout the ride. You will feel like a true connoisseur of Singapore after this experience. In town for business, meetings or a conference? Then it is likely you’ll only have a day or two for sightseeing and relaxation. Nothing can combine both of these better than an experience on the Tiger Sky Tower. Get a holistic look at the economic miracle of Singapore in air-conditioned comfort. Also, the attraction is wheelchair-friendly! Truly everyone and anyone can enjoy the wonderful views of Singapore from up high. 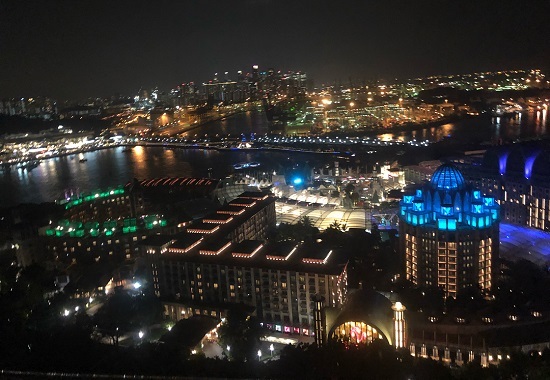 Review: Is The Tiger Sky Tower Worth a Visit? Paranomic views at only $11? That is a super value for money option, especially at the promotional prices, we found on Klook. That is cheaper than other options like the Singapore Flyer which costs around $33. If you go to a sky bar like One Attitude, you will easily spend more than that on a drink. 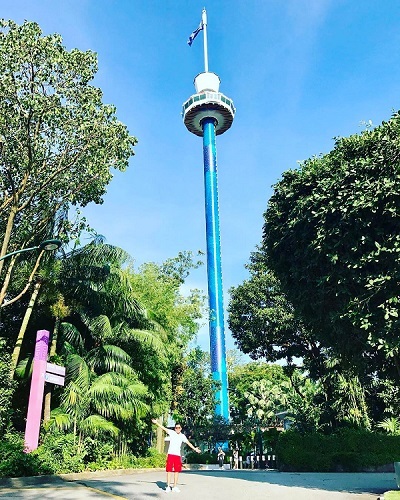 If you are already planning to visit Sentosa Island, the Tiger Sky Tower is a must-do attraction. The Tiger Sky Tower is located conveniently near the Imbiah area in Sentosa. It is easy to get to no matter which mode of transportation you choose. It is a highly recognisable landmark with its impressive height. There’s no way you will miss it! 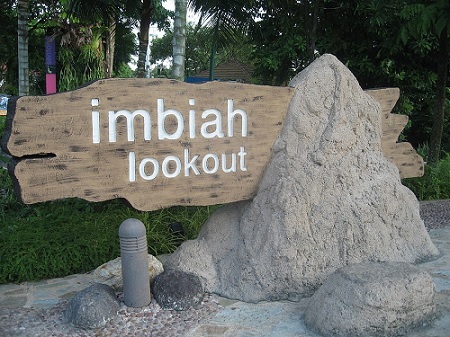 If you are driving in, enter via Sentosa Gateway and follow the directions that leave you to the Imbiah Lookout. There’s a car park right there which has sufficient lots even during peak weekend periods. There’s an option to take a public bus into Sentosa. 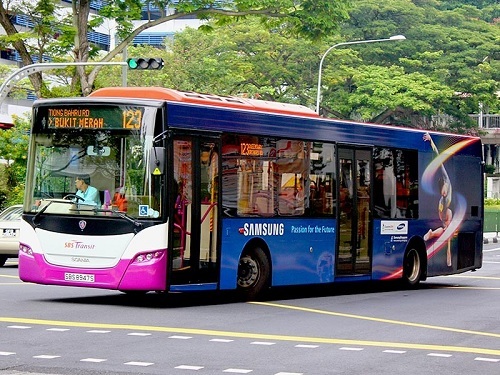 SBS Service Bus 123 will go pass MRT stations like Tiong Bahru, Orchard, Fort Canning and Havelock. Alight from the bus when it reaches the Merlion Plaza. Another alternative would be the Sentosa Bus A. Drop off at the Imbiah Lookout bus stop. You can also hop onto the cable car from Harbourfront Tower 2 or Mount Faber Station. Enjoy the views of the ocean along the way but remember to step off at Imbiah Cable Car Station. The Tiger Sky Tower is opened at 9am in the morning all the way to 9pm at night, every single day. Do note that the last ride up starts at 8.45pm. Also, the ride can be suspended if there are adverse weather conditions. However, they will exchange your tickets for another attraction if that’s the case.